Herbs and spices not only add flavor to your dishes but can also add so much nutrition to your diet. They are rich in phyto-chemical compounds that have healing properties and have been used as medicines thousands of years ago by most ancient civilizations. 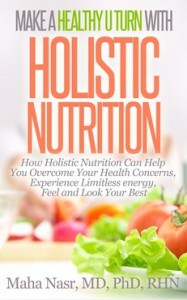 As an Oakville holistic nutritionist, I love using a variety of herbs and spices in my nutritional recommendations and in the recipes I include in my meal plans because of their so many proven health benefits. I also usually recommend a variety of medicinal herbal teas to my clients that they can enjoy anytime. Today, as an Oakville holistic nutritionist and certified cancer coach, I’ll share with you the surprisingly cancer-fighting properties of 3 herbs from the kitchen. These 3 surprisingly cancer-fighting herbs are: cardamom, cinnamon and cloves. As an Oakville-based holistic nutritionist I recommend using these herbs to spice up your recipes, in your smoothies or as an herbal tea that you can enjoy anytime. Cardamom is native to Southern India, Ceylon and Malaysia and is one of the world’s most ancient spices. It has been used as a medicine in India and Chin and has been used as a digestive since ancient times and by ancient Egyptians as a tooth cleaner. Cardamom tastes like an airy gentle ginger with a taste of pine. Studies conducted by Sengupta et al. at Chittaranjan National Cancer Institute in Kolkata have shown that dietary cardamom had a positive result in counteracting colorectal cancer to an extent of 48%. Cardamom is known to act as a detoxifying agent. The essential oils and biochemicals present in cardamom help in toxin release by the body. A study conducted by Das et al. showed that cardamom was effective against cancer cells. Cinnamon comes for the inner bark of evergreen trees native to Sri-lanka, Southwest Asia and India. In addition to its use as a spice in many dishes, it’s also used as a flavorful agent in pharmaceutical, personal health and cosmetic products. It has an aromatic, sweet and warm flavor. There are over two hundred varieties of cinnamon, the most popular of which are the Ceylon cinnamon and the Chinese cinnamon. The former is called “true cinnamon” and is more expensive. It has less levels of a compound called coumarin which can be harmful in large doses. Research has shown that two substances, cinnamaldehyde and eugenol can both actively prevent cancer cells from spreading and represents a very exciting development for cancer research for colon cancer, lymphoma, and leukemia. Cinnamon contains various essential oils and organic compounds that can neutralize free radicals, the dangerous byproducts of cellular metabolism that can cause healthy cells to spontaneously die or mutate into cancerous cells. Cinnamon contains moderate amount of oxalate. If you have a history of oxalate containing kidney stones, avoid overconsuming cinnamon. Cloves are native to Indonesia and have been consumed in Asia for more than 2000 years. They contain significant amounts of an active component called Eugenol. Many health studies have been conducted showing medicinal benefits of eugenol including prevention of toxicity from environmental pollutants such as carbon tetrachloride and prevention of digestive tract cancers and treatment of inflammation. The dried flower bud of clove contains compounds that help in improving the immune system by increasing the white blood cell count. Mutagens are those chemicals that change the genetic makeup of the DNA by causing mutations. Biochemical compounds found in cloves, like phenylpropanoids, possess anti-mutagenic properties. These were administered on cells treated with mutagens and they were able to control the mutagenic effects to a significant rate. Cloves are of interest to the medical community due to their chemo-preventive or anti-carcinogenic properties. 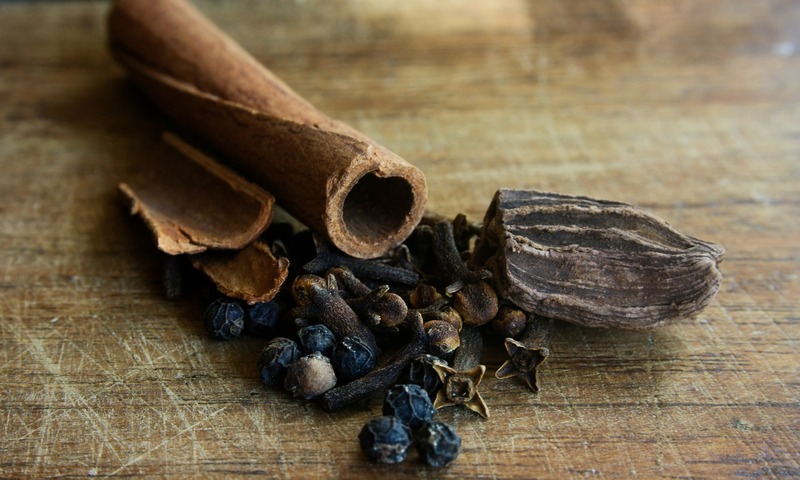 Tests have shown that cloves are helpful in controlling lung cancer in its early stages. If you are already using these cancer-fighting herbs, please feel free to share your favorite recipes in the comments below. If you need help with your health or nutrition, call Oakville nutritionist Maha Nasr at 416 876 4634 to book an appointment or sign up for a FREE Clarity Session to learn more about how we can help you.